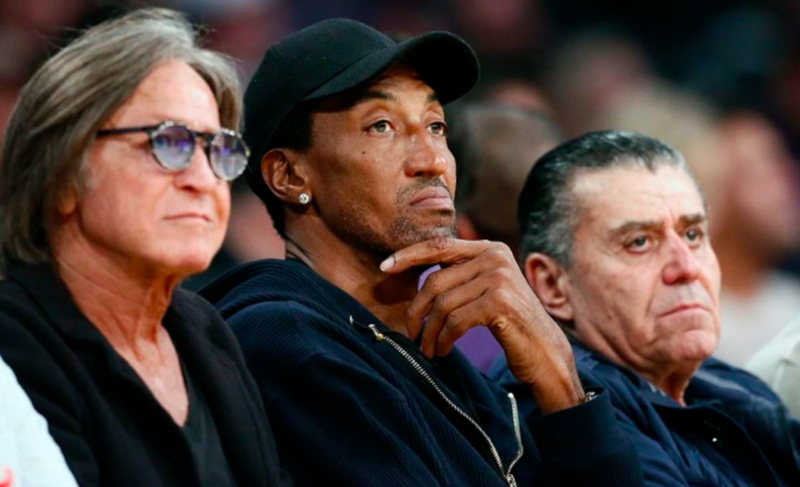 Just like other famous athletes, NBA stars bring in millions of dollars every year. And when you have this much money at such a young age (most of the players are at their prime in their 20s), you probably won't make the smartest decisions when it comes to your purchases. What do you think about $200,000 night, 12-feet bad or the $4.3 million jet that does not even fly? There's more! That's why we've made a list of some of the most expensive, ridiculous, and down-right weird buys that the NBA athletes made with their riches. Having a collection of shoes is a typical and common thing to do. But, there are cases when it goes too far, and Jarrett Jack is a prime example of that. The famous NBA point guard made millions of dollars over the years, and he spent at least a few hundred thousand dollars of that amount towards shoes. In fact, the NBA star has over 1,500 pairs in his collection, with over 2,000 cubic feet of closet space to fit everything! 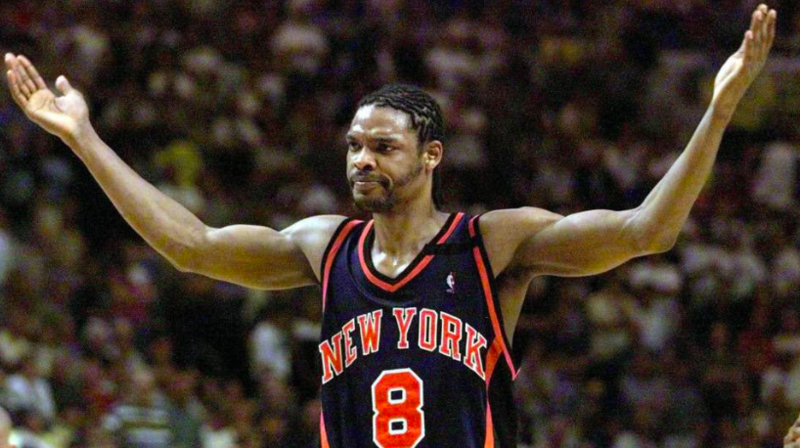 In his primetime, Sprewell was considered to be one of the best scorers and extremely successful too. Of course, he ended up making lots of money as well, but it turned out that later he ran into some pretty serious financial troubles down the road. After having a massive fight with his coach and returning from the league, he had a $1.5 million yacht left which he couldn’t pay off. Eventually, he sold it at an auction for a lot less compared to what he bought it for. And, if it wasn’t for the yacht, he wouldn’t have had to foreclose his house. Antoine Walker is the definition of financial instability when we look at the NBA players. The star earned a crazy amount of $100 million during his career in the NBA but still managed to file for bankruptcy in 2010. There were various things he spent his money on, such as real estate and entourages of dozens of people, but it was cars that caused the most damage. Walke had nearly 10 expensive luxury vehicles, with his most expensive being a $450,000 Maybach.12. In 2002, Pippen made the rash decision of buying a $4.3 million Gulfstream jet. Instead of putting it to use and flying around the world in his new toy, he ended up paying around $1 million in repairs on it, just to make it fly. The jet was actually grounded for a number of years and Scottie sued his own lawyer for doing a crappy inspection on the plane. The player ended up losing $2 million on this investment. Shaq is completely and utterly obsessed with his Superman nickname. And to top things off, he’s a huge fan of the actual Superman brand, too. Some of his purchases include a Superman-themed bed, an SUV branded out with Superman, and many many more Superman things. In total, all of this ended up costing him thousands of dollars. Although the NBA star can definitely afford it, it is a pretty weird investment. 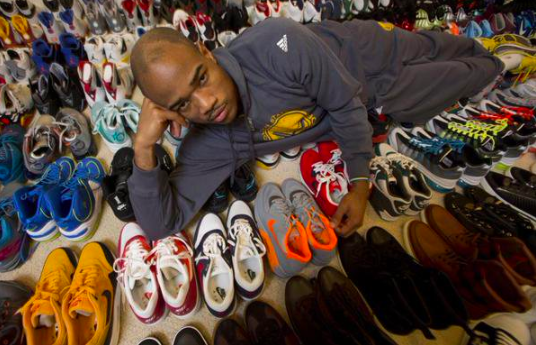 We’ve already talked about Jarrett Jack’s shoe collection, but he’s not the only one in the NBA with a shoe obsession. 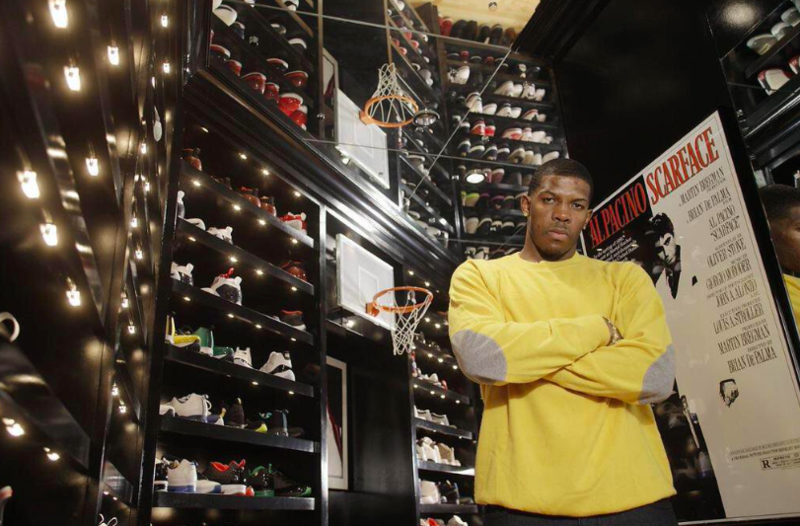 Joe Johnson also owns over 1,000 pairs of Jordans, and even has a bed in his shoe closet! The player has taken his love for his collection so far that he implemented a fingerprint scanner to get in. Plus, he’s the only one allowed to actually come into the room. The space is so big that he and his friends sometimes hang out there, and spend their time shooting hoops. A little over the top, if you ask us. He’s one of the best basketball players in history, and one of the reasons behind this is because he never goes down without a fight. This competitiveness is brought into his personal life too. In 2007, Kobe and his wife went to the opening of a new nightclub, where pro poker player Antonio Esfandiari was hanging out as well. Antoni ordered a couple of bottles of Cristal, averaging to about $1,400 per bottle. Kobe decided to turn it into a competition and bought another five. They went back and forth until Kobe ended up buying 15 more and walking away without even drinking any of it. This is probably the weirdest one on the list. 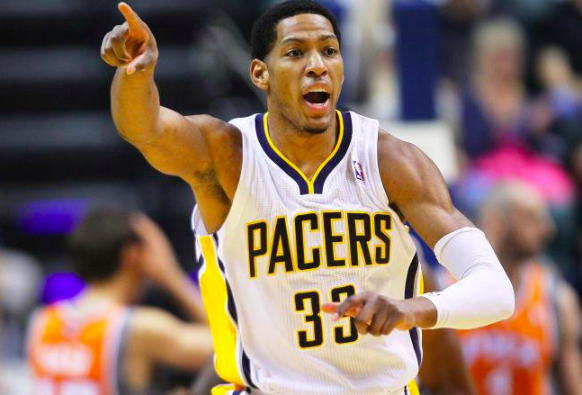 No one really knows much about his whereabouts anymore, but Danny Granger used to be amazing as an NBA player, acting as the leader of the Indiana Pacers. Unfortunately, though, he wasn’t as skilled when it came to interior design. Rather than making normal home renovations in his New Mexico property, Granger built a Batcave that's located completely underground and even has a rotating parking spot for his vehicle. When we take into consideration that we spend about a third of our life sleeping, having a comfortable and relaxed sleep is something that we should all strive towards. 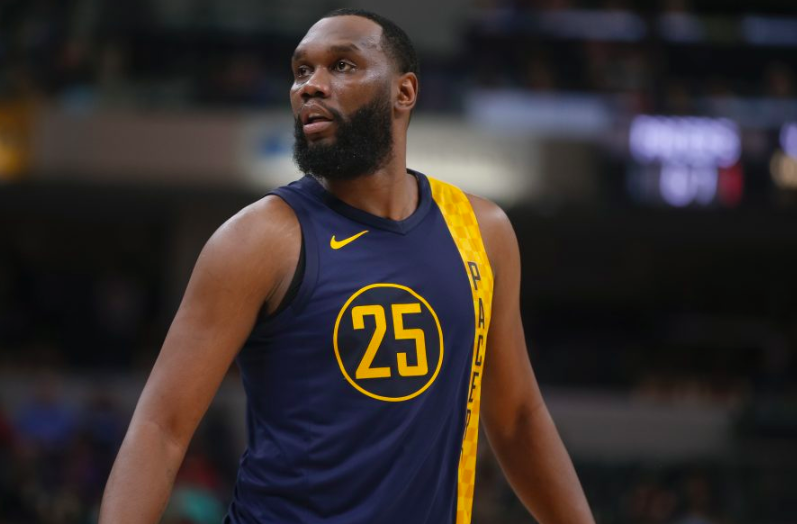 And when you’re an NBA player who’s almost 7 feet tall, such as Al Jefferson, a regular size bed just won’t cut it. The athlete ended up dropping $23,000 on his bed, which measures to a shocking length of 12 feet by 10 feet. Honestly, this is bigger than some people’s rooms. 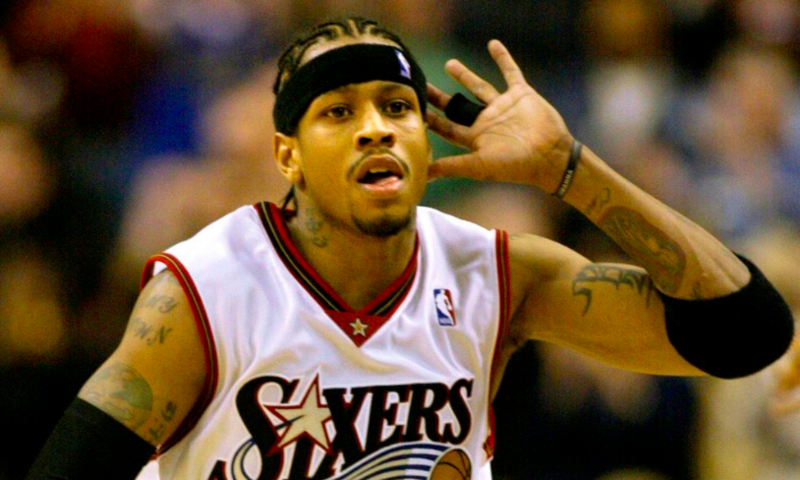 Iverson is now retired, but true NBA fans will never forget the huge impact that Allen’s popularity had on the sport. In fact, he got many different fans into the NBA to begin with. With his +10 years in the NBA, he became one of the most successful players and will always be respected. Despite the money and the fame, Iverson’s been having a hard time financially since he retired. And whilst he has many flashy things, like most rich people, it's his jewelry that really hit his wallet. And even though he’s struggling now, he’ll still manage to find a way to buy more chains to add to his collection. When the Miami Heat won the championship, naturally, the team decided to celebrate and went all out that night. They partied the night away at LIV in Miami, and spent an insane amount of $200,000 in one night. And no, that’s not a typo. Dozens of bottle of alcohol were purchased for more than $1,000 a piece, and a bottle of Dom that cost them $23,000. Well, if you can afford it then why the heck not, right? Here’s another team that decided to go (almost) just as hard. 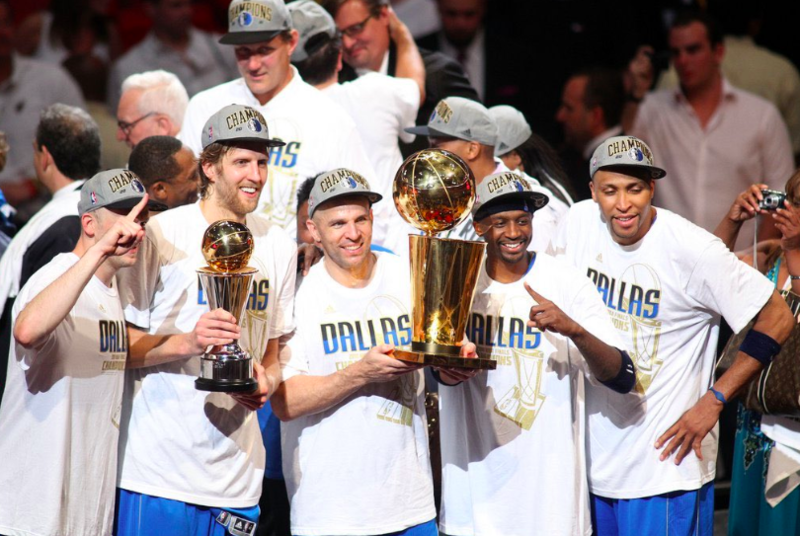 The Dallas Mavericks went on a mission to party hard after winning their title, and also took their celebration to LIV in Miami. They were only there for four hours but still managed to spend $100,000. Although Arenas was doing an amazing job at the start of his career as a scorer in the NBA, the fame and fortune weren’t very long-lived. He signed a contract with the NBA for $111 million over six years, but didn’t even play out the whole thing! Because of his numerous injuries that left him physically incapable of getting back on the court, Gilbert made millions of dollars basically by just sitting at home. 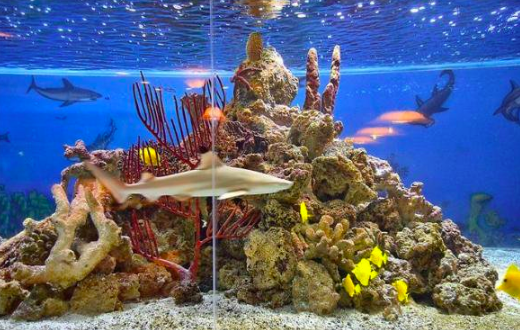 And he has one of the strangest purchases we’ve heard of yet, which is a giant shark tank that’s located in his home. Again, the tank is simply giant, has very pricey sharks inside it, and costs over $6,000 a month to maintain. Despite being a great player in the NBA, Curry was honestly pretty lazy and it's a fact that everybody knew. He had little to no work ethic, too. Regardless, he still made a ton of money during his career in the NBA because of his natural talent and contribution to the game. However, he didn’t spend or save his hard-earned money and spent it on ridiculous things instead. This includes a personal chef that cost him thousands of dollars per month, expensive luxury cars, and a cable bill that cost him over $1,000 a month! 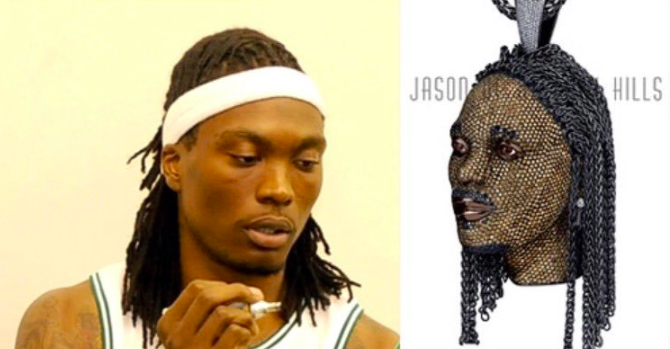 When it comes to unnecessary, weird, and simply the worst purchases you could make with your money, Marquis Daniels really took the cake. When he was a member of the Milwaukee Bucks in 2009, he decided to buy a piece of jewelry. He could have got something normal like most athletes do, but, it seems like he really wanted to stand out. So he got a 3D printed necklace of his face. No one knows the exact price of the jewelry, but when you look at the price of diamonds, gold, and amount of labor that went into it, the piece most likely cost over $50,000. Who knows - if we had that kind of money, maybe we'd end up spending the same amounts on even more ridiculous things! What do you guys think? Which of these shocked you the most, and do you think you'd ever do the same with your money? Comment below! And check out our other related articles for the latest news. Where does the British royal family get their money from? Some sources are pretty evident, while there are some other less-expected ways. Let's delve into this matter and find out all the forms that the royals make money.